If you’re a person who enjoys interacting with people and believes in your ability to bring meaningful change, then you should start considering careers in education. Within the teaching profession, different subject areas and age groups provide a wide variety of career options. To help you decide, we will give a brief background of various teaching jobs. An elementary school teacher teaches students from kindergarten up to the fifth grade (in some states, elementary education refers to first through fifth grade). Elementary teachers educate students in a variety of subjects. These can include math, science, reading, writing, and social studies. They also take part in afterschool activities to provide a well-rounded education. All certified elementary school teachers in the US must have at least a Bachelor’s Degree and hold a state-issued license/certificate specific to teaching elementary students. It’s important to note that each state has specific licensing requirements. Elementary school teachers have a self-contained classroom – they teach students different subjects throughout the day in one classroom. They need to be engaging and hands-on in delivering instruction. Also, they should be able to differentiate (adapt and modify lessons) to meet individual needs of students. High school teachers teach students from grades 9 to 12. Usually, high school teachers are responsible for teaching a single subject (or related subjects) at single or multiple grade levels. The job also involves creating lesson plans, testing, and grading. Salaries for high school teachers vary among school districts. If you want to be a high school teacher, you should have earned at least a Bachelor’s Degree. The degree can be in Education or Secondary Education, concentrating on the subject you want to teach (e.g., English, Math, Science). Some enroll in a secondary education program and minor in their preferred subject area. Some major in the subject area they want to teach and minor in education. College professors instruct students in various areas at the post-secondary level. They prepare course materials and teach graduate and undergraduate students. These courses may be in lecture, laboratory, seminar, or field study formats. Many also conduct research in their area of expertise. Those who want to become a college professor should choose an area to specialize in. The next step is to earn a Bachelor’s Degree in your desired field. A majority, if not all, college professors have at least a Master’s Degree. While in school, aspiring college professors participate in internships and employment opportunities that enhance their teaching and research experience. 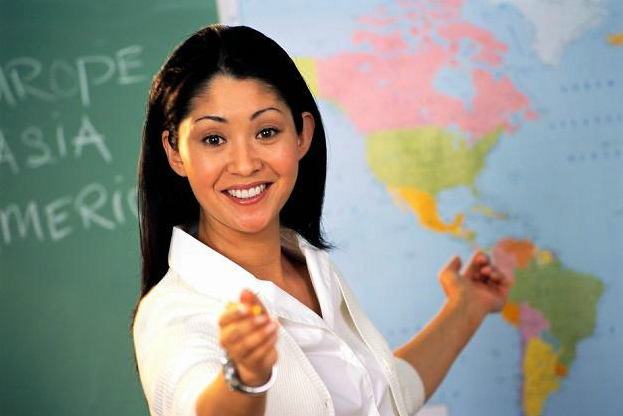 An English teacher instructs students in written, verbal, and spoken language. A very good knowledge of grammar, punctuation, vocabulary, writing, and visual literacy is necessary. English teachers can work at all levels but are mostly found from sixth grade through college. In most states, an English teacher is required to hold a Bachelor’s degree or higher. Responsibilities include testing, grading, student supervision, and curriculum development tasks. If you want to become an English teacher, you should have excellent communication skills to engage students effectively. Highly skilled at various techniques, art teachers can teach any art-related topic, from mixing colors to art history. They bring out the creativity in their students, help build self-confidence, and enable students to express themselves. Although art teachers can teach at any grade level, they are most common in middle and high schools. Prospective art teachers must have a Bachelor’s Degree in education with a specialty in art. This type of program is offered in many colleges and universities. An accredited college/university can offer a dual program wherein you gain a Bachelor’s Degree and teaching certification. A music teacher shares his/her knowledge of music to students. In lower grades, this may mean learning new songs, singing on key, and keeping tempo. But in older grades, it may involve teaching how to play an instrument or helping prepare for musical pieces. Those who want to become a music teacher must go through an educator preparation program and receive a Bachelor’s Degree at a college or university accredited by the Council for the Accreditation of Educator Preparation (CAEP). Many offer dual programs in which you can earn a degree and teaching certificate simultaneously. A P.E. teacher focuses on physical ability and development of students at all grade and age levels. He/she also teaches basic skills in a variety of sports, while ensuring student safety during such activities. P.E. teachers also encourage students to have an active and healthy lifestyle. If you want to teach Physical Education, you must possess at least a Bachelor’s Degree and a state-issued license to teach P.E. A license can be attained by completing a teacher education program focused on health and fitness. The teacher education program should be accredited by the CAEP. A special education teacher is responsible for teaching students with special needs. Special education is considered a high need area in many school districts. It involves instructing students with physical, emotional, and learning disabilities. Special education teachers help students develop problem-solving, motor, and social skills necessary to complete their education. They work with students not only on academic advancement but also on personal and life skills. Certified special education teachers in the US must at least have a Bachelor’s Degree and hold a state-issued license/certificate specific to teaching Special Education students. Different states may have their own specific licensing requirements. Teaching jobs are recommended for people who are passionate, confident, positive, caring, patient, and inspirational. Careers in education can be challenging, but they can also be rewarding. Aside from having the required degree and actual teaching experience, professional development for teachers can also help you succeed in this field.